The founder of Nehemiah Project International Ministries, Patrice Tsague is in Australia in April 2015 to introduce Biblically based curriculum to teach entrepreneurship to teens and adults. Patrice is originally from Cameroon where the project was developed with Bethel World Outreach Ministries and Living Word Missions. Principals of Christian Schools and Colleges to come hear what Patrice has to say about the curriculum in a two hour Seminar on April 9th. Pastors and Church leaders are encouraged to come to the afternoon session. Learn about a vision for a God-ordained partnership between business leaders and ministers. Coffee, tea and light refreshments will be available at all sessions. ICCC Conference in Athens, Possessing The Land – IT’S TIME! It is the end of the second day of the conference. With over 50 member nations represented at the conference it is an exciting time. Today we are living in very disruptive and challenging times. There is universal agreement amongst members that we are living in a time of unprecedented financial crisis with the debt burden increasing to unsustainable levels is most of the developed countries. A worldwide financial crash is inevitable it is only a matter of when. As a people called by God whose business and working lives are an outward manifestation of an inward walk of faith, motivated by God’s love, we are confident that we are called by God to be part of the solution for this time. It is our desire to see Christians in their professional and spiritual lives growing up to be great and tall trees, planted by the water, each bringing forth their fruit in season, and creating shade and rest for those around. ( Psalm 1, Isaiah 61:3, Jeremiah 17:7-8 ). it is about a walk of faith, understanding and loving God, and in His power serving those around us – individuals, communities, and nations that need our help. Wonderful testimonies were given of God’s equipping and enabling members to overcome seemingly impossible situations. IT IS TIME to give hope from heaven for tomorrow! Upcoming Trip to Athens and Jerusalem. I am attending two important events in October and November. The first starts this week in Athens. It is the International Christian Chamber of Commerce Conference, “Possessing The Land – It’s Time”. I hope to post reports on this Conference next week. Last year ICCC was forced to re-evaluate what God wanted of us when He took both the President and Vice President home unexpectedly. ICCC is not alone among Christian organisations and churches that are being shaken like this at their very foundations. I was part of a Leadership Conference in Cyprus in February when the new International Board shared with the ICCC Boards of the Nations their vision for the future. This has now been fine tuned and will be presented at the Athens Conference under the banner “POSSESSING THE LAND – IT’S TIME”. I am excited about what God will do at this conference and of course the opportunity to meet up with many good friends. Watch this space for the reports I will post as time permits. The second meeting I am attending which is a very important one is the 822 Gathering in Jerusalem November 10th to 13th. “At this kairos hour, the Lord is calling forth a remnant, a representation of the family of believers worldwide, to come together as one new man in Jerusalem. In the power of unity submitted fully to the leadership of the Holy Spirit, we will stand in the gap and decree that the hour has come for the bride of Christ to wake up and to make herself ready for her bridegroom”. check out the website http://www.822call.org. In between the two conferences I am joining a tour “The Hidden Treasures of Israel” sponsored by Kingdom Builders and the Australian friends of the Hebrew University of Jerusalem from Nov 2nd until Nov 10th. It also promises to be an exciting time. I look forward to sharing with you insights into what God is doing at the “late hour”. 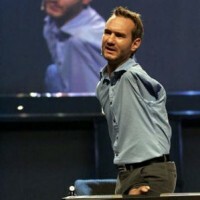 The amazing 30 year old evangelist Nick Vujicic, born without arms and legs is one of the most inspiring examples I know of a man who truly understands what it means to be living eternal NOW. “Nick” as he is known, spoke recently in Vietnam, May 22-26, 2013 to many thousands. He spoke at seven official events, including two in large stadiums in Hanoi and Ho Chi Minh City. Three of the major events were televised nationally on VTV and he did numerous television interviews. After only 4 days, you would have been hard pressed to find a Vietnamese who had not heard about “Nick”. Though not allowed to preach in public events, he took the country by storm as a motivational speaker. He became an instant hero and idol. The unprecedented tour was sponsored by a consortium of a Hoa Sen business group whose Chairman Le Phuoc Vu is a devout Buddhist. It seems Mr Vu, the lead organizer and sponsor wanted to do something positive for Vietnam’s youth, many of them aimless, purposeless and lacking role models. Mr Vu’s answer to critics on spending so much on “Nick’s” events said, “In the spiritual perspective, the amount is negligible, Nick’s story is a great source of encouragement for the disadvantaged, the disabled , orphans , the poor, …. It is like water for thirsty people in the desert, very precious. News reports said, “participants burst into tears” at this powerful expression of Nick’s faith. He has learned to swim, surf and skydive, is married to a beautiful woman and has a son, has authored best selling books and is the epitome of purpose, joy and gratefulness. see complete article by Reg Reiner in The Christian Post 05/06/2013. International ICCC Conference in Jerusalem March 3rd to 6th, 2013. All of the Aussie delegates to the ICCC (International Christian Chamber of Commerce) Conference were expectant that God would speak to them through the experience and I don’t believe any are disappointed. Of the many delegates that I spoke to, all are challenged to a deeper walk with the Lord by the main speaker, Dale Fife the author of “The Secret Place”. A yearning for a deeper intimacy with the Lord is growing amongst God’s people as things (governments, economy, morality) around them start to crumble. HE is driving us to a place of desperation where we realise that unless HE shows up we are in deep trouble. Fortunately I had already come to the realisation that our walk with the Lord is a daily affair, still I realised from Dale’s walk that a far deeper level of intimacy is available to us IF only we will spend the time with HIM in the “Secret Place”. Get/Download his book, you will be inspired. There were 36 nations represented at the conference with 360 members. Regardless of whom I spoke to, ALL believed that we are in the latter days/end times, with events unfolding with ever-increasing speed as if we are in “fast forward”. For those that are listening “time is short” but the harvest is ripe and the Lord is looking for workers who will go where HE calls/sends. Will we be one of those that obeys? It is an exciting time, persecution comes with the territory but victory is assured and the rewards in heaven great and everlasting. With the unexpected and sudden passing of the President and VP last year we all understood that it is a new season at ICCC. The conference theme was appropriate “Beyond the Barriers”. The new Board elected on the last day of the conference seems appropriate for the new season and includes Paul McConnell (Australia) as the head of the ICCC Business Development Centre (BDC) in Israel. One of the major projects initiated by the BDC is a hydro power plant in Burundi. With Paul relocating to Rwanda in August he will be well positioned to oversee this project. After starting my report on the conference I received the following report on the conference from Ntiense. He is on the new International Board and in charge of the Prayer Domain. His report says it all. As the deer pants for the water brooks, so pants my soul for You, O God. My soul thirsts for God, for the living God. When shall I come and appear before God? One thing I have desired of the LORD, that will I seek; that I may dwell in the house of the LORD all the days of my life, to behold the beauty of the LORD , and to inquire in His temple. For in the time of trouble He shall hide me in His pavilion; in the secret place of His tabernacle He shall hide me; He shall set me high upon a rock. I wish to give a brief summary of the highlights of the just concluded ICCC international conference and IGM held in Jerusalem March 3rd to 6th. 2-13. The conference marked the beginning of a “new season” given that we in ICCC have been in transition in the last few years. This was marked by the opening night when the trumpets (shofars) were blown in consonance with the instruction of Numbers 10 vs. 10 “at the beginning of your months..” We consecrated the conference and ourselves to the Lord so that His glory can be tangibly manifested in the marketplace in fulfilment of the claim that the Lord has made over the marketplace when He led J Gunnar Olson (Founder) to proclaim the vision of ICCC. This claim of God over the world is absolute!! The timing of our conference is also significant because when the decision was made by the international board in 2011 to hold the conference and IGM in March 2013 we were actually being led by the Lord to a unique season of a shift. Certain events like the resignation of Pope Benedict XVI, the elections in Israel and even the pending visit of President Barak Obama to Israel all point to the fact that there is indeed a shift of season! We therefore sense that this conference was positioned to accelerate the shift of seasons so that we can experience a real manifestation of the power of God and the gradual close of the age. This will be accompanied by the unprecedented harvest of souls as well as the manifestation of the glory of God. Our Speakers made certain declarations to this effect. While Dr. Dale Fife declared; “This is our day!” Dr. Mark Kauffman proclaimed; “God says this is your Kairos time ICCC!”. A major theme that came through during the conference whose theme was “Going beyond Boundaries” was the imperative of intimacy with God. The two Scriptures quoted above give light to the critical need to find the “secret place” and dwell there as a way of life so that we can become more of those who “be” rather than those who “do”. This will require a life of worship, prayer and indeed a desperate passion for God! Some delegates shared how they are practically seeking to implement this in their workplace. Gunnar said something that is remarkable. He said “You do not have to build the Kingdom. God says believe in me and I will build the Kingdom. Therefore we need to seek the Kingdom of God and walk in faith which will cause God to manifest on the earth”. What lies ahead of us is impossible with man’s effort, so like God told Moses, “I have come down”. This becomes more relevant in view of the coming industrial revolution as well as key areas of scarcity namely; energy, water and food. This certainly requires a walk of faith like never before. Again let me quote something else that Gunnar said, “When God called Abraham, he made Himself dependent on the faithfulness of one man! Abraham did not settle for anything else as he held the yardstick of the “Holy City” he saw and therefore remained faithful waiting for God to manifest His promises. Upon this faithfulness the redemption of the entire world depended” This in my view is incredible that God’s purpose could be tied so delicately to the faithfulness of man. Therefore the call of God upon us is far more significant than our personal wellbeing or “blessing”. We are called like Israel was to be God’s servants! Again Gunnar declared, “You were born with a purpose, you are not here for yourself”! One inspiring input to the conference were the panel discussions particularly the session presented by the “young professionals”. They shared on the topic “What do you have in your hand? – Your calling in Business as a Divine instrument for God” We felt that the young professionals are a key constituent for the future relevance of ICCC. We prayed for and dedicated this track of young professionals for the release of the needed strategy and unction to harness their gifting and callings for the furtherance of God’s purpose in the marketplace. Contact with this group for now will be through the international office. A new international board was elected during the IGM. The composition of the board is also another sign of a new season. The above are just my recollection and some of the notes I took during the conference. You can always order the full recording of the conference from the ICCC international office in Sweden. Pray for Israel particularly the need to form a new government following the last election. Also pray for the peace of Jerusalem.